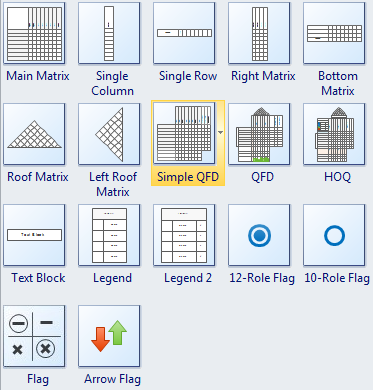 A well designed sample of quality function deployment drawn with Edraw QFD software is shown below. 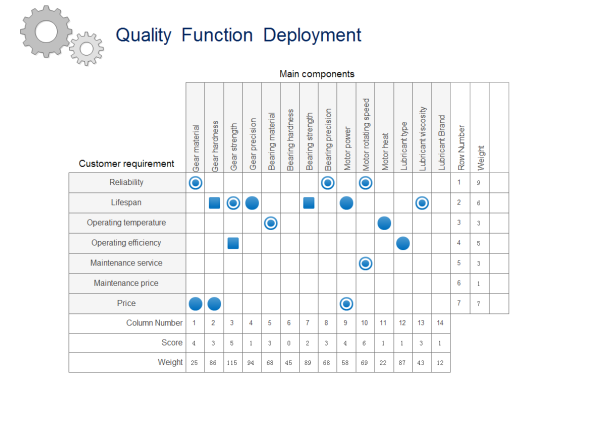 Using this easily customizable template you can represent any existing quality function deployment diagram. Edraw has a particular template for this quality function deployment design. All symbols in the template are quite smart and simple. Users can create professional quality function deployment diagrams fast and easily by using this editable template together with various built-in symbols in Edraw. You can download and modify this template for your own use. Discover why Edraw is an awesome quality function deployment tool. Try Edraw FREE. 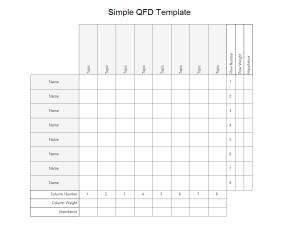 We have been striving to offer more QFD templates like the one presented, through which you can increase work efficiency in a large degree.